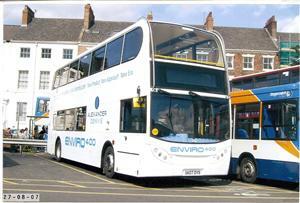 This was a demonstration vehicle on loan to EYMS from Alexander Dennis in August 2007. Picture (Yellow Buses livery) courtesy of Richard Grantham. Picture (white livery - on loan to EYMS)courtesy of Mike Davies.